My new web comic is up. 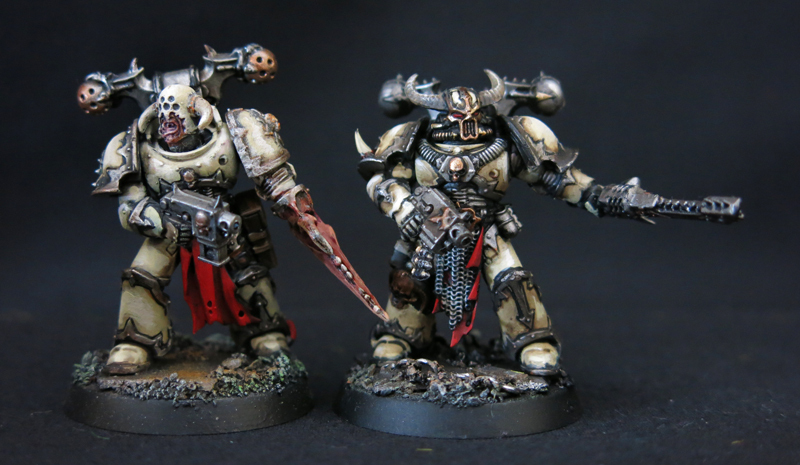 Hoping to do a 40k one as well. 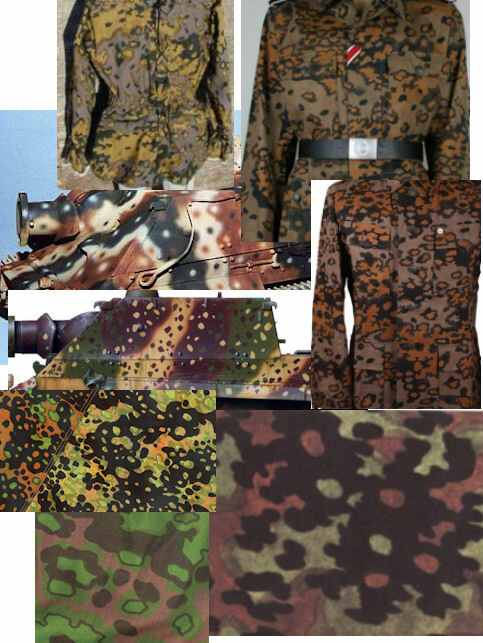 Tank camoflage underway, photos should be up tonight or tomorrow. Fumble Recovery: The Devil Dog. Step 1: Blotches of tan (Vallejo Iraqi Sand), then Step 2: GW Foundation Chardon Granite. Step 2 took about 4 of the 5 hours. And the 'finished" tank with some basic track colors and stowage colors blocked in. Alot of detailing and weathering to do, but I think I may try to get the other vehicles to this stage first, since the technique is still fresh in my mind. If I had to choose, I'd paint any vehicle model, especially a camoflaged one, with my airbrush. That being said, allow me to present a failure. I had...what I thought... was a foolproof plan to camoflage the tanks for my army. The colors looked good (in the bottle), I thought it would make a nice 'field applied' look, reminiscent of WW2 german tanks, which goes well with my army. Even after I got the first color down....and didn't love the way the airbrush was working/ didn't care for the color/ wasn't happy with my technique.... I pushed on to the second color. 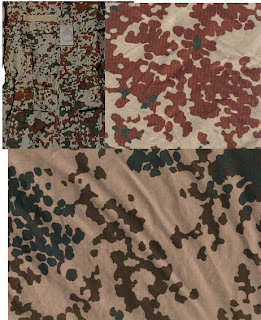 By golly, I was going to get the basic camo on all three of these buggers and have a super cool blog post and be the envy of my little world. Well, that second color went on worse than the first and not only that, but didn't really look that great. My venerable compressor's moisture trap wasn't working perfectly (though good for a 28 year old compressor)... but my biggest problem, the one I kept refusing to admit to, was that my paint color choices were not only wrong, but the paint is too old. I decided to be cheap and it just cost me two hours and I'm not sure how many more to fix the problem. I'm hoping..... I don't have to dip the tanks in degreaser. I'm hoping..... I can just hit them with another priming spray and it won't be too thick. I'm hoping..... I can salvage a real rookie ,friggin' mistake. OH...it doesn't look that bad.....from a distance. Aside from the error in color choice, the paint went on terribly....and I just kept on painting. maybe I HAVE had 1 too many concussions. .... but with different colors. *deeeeeeep breath* Back to square one. Uniform camo tutorial of sorts is on deck, should have that up by Wednesday or maybe tomorrow. That's all for now. I have to go salvage this.... clusterf***. Not sure if it shows much, but I've got RB Rocky's base colors down and have to start detailing.... which could happen tonight if I can stay away from Dragon Age:Origins. I'll admit my journeys through Ferelden, along with an art/writing project (yes, I will be posting artwork in the near future) have sucked up some valuable hobby time, but I don't have to work out of the house again until next Thursday so I should get some work done. On a personal note, I achieved total and utter surprise with my Valentine's gift (yeah, I know it was a couple days early.... but that was part of the surprise too...and she'll be able to wear it to work. In the words of the immortal Hannibal Smith "I love it when a plan comes together." Busy,busy,busy.... BUT here's an update. 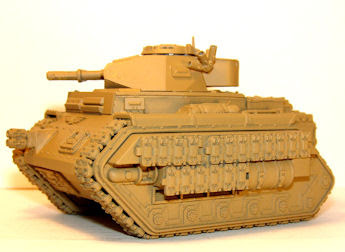 The vehicles have an overall British Armor brown spray. 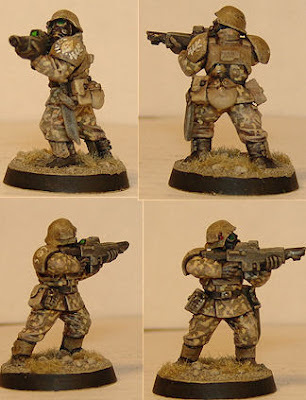 I primed the infantry with the same color. Here's the Devil Dog. At least the basic pattern, that is. Believe it or not, I find it alot easier to paint. It likely has alot to do with tons of WW2 models I've done in the past. Also really like the modern desert derivatives of these. Here is the first of the ground pounders. The laurel and diamond on the shoulder plate are for the command squads, regular infantry will just have the diamond. Many more to paint. I've got my hands on another Chimera, so I'll have the PzII transport conversion. 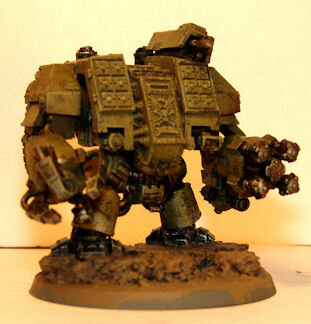 Then there are 3 Leman Russ to build and 2 sentinels. 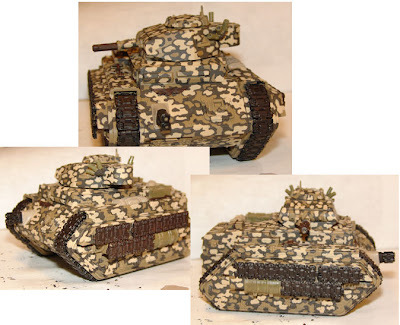 Its been a bit humid of late which has discouraged my airbrushing (i have a very old compressor that doesn't like humidity)... but the next update should be 3 vehicles with their base paint schemes done.